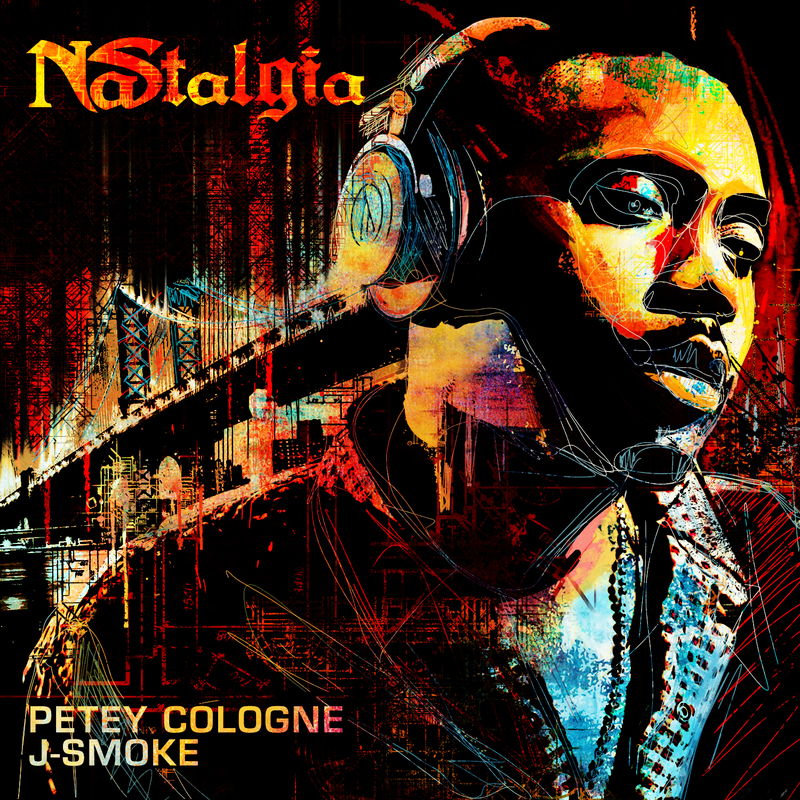 I’m still salty about Nas’ Grammy snub this year but luckily DJ Petey Cologne and DJ J-Smoke dropped a project to help distract me. The homies dropped the NAStaglia mixtape recently and I am still rocking it pretty frequently (yay for replay value). I know, I know what you are thinking, “Another Nas inspired project? Haven’t there been enough? What could possibly be different?” I hear ya. But I am here to report that this mixtape does have something different to offer and is def worth the download. I was approached by Carlos from Classic Material to put a Nas mix together to coexist with a Tee he created. Carlos is the homie and Nas is one of my all time faves, so it was a no brainier to accept the offer. Shortly after I ran into J-Smoke of the Motherf***in Allies at The Halftime Show. I’ve been a scratch nerd and a huge fan of the legendary crew since day one. I immediately thought it would be ill to collaborate with someone as talented as J. Fast forward a few months, and you have the official release of NAStalgia. As the clever title suggests, NAStaglia is a conceptual trip down memory lane of Nas’ career, the more off beaten path. It’s a journey all Nas fans are sure to appareciate. Maybe I am just biased because I’ve seen first-hand the effort that went into taking this idea to the end result. Whether it was watching Petey approach the right people for drops, him coming into The Halftime Show describing the intro and having us listen to different parts or going over different concept ideas for the artwork – there was nothing left to chance when it came to NAStaglia. Everything was precisely thought out. That is what happens when people take their craft seriously, and yes, if nothing else this project illustrates there are still people out there that treat DJing as a craft. I am happy to see all the pieces come together. You can tell from listening to the intro it took a while (DJ Eclipse comments that it’s seems like two years already and DJ JS-1 orders them to hurry up and finish, lol) but was worth the wait. Yeah, it’s funny to give them grief about it now, but it’s refreshing in this day and age where people rush projects to saturate the internet in the name of relevance that there are still those who choose quality over quantity. Some highlights include – well let’s start with the fact that it is true to my definition of a mixtape – it contains actual blends. These days’ people label anything with songs on it a mixtape. But on NAStalgia you’re not just going to hear the mainstream Nas songs, but demos, original samples and B-sides BLENDED in a mix. For me, I got giddy when I heard the sample for “Phone Tap” in the intro (that was new to me) and the “Stillmatic” blend was a totally fresh take. I enjoyed the “One Love” remix with Sadat X, and the sample of “Sugar Man” was new to me too. The “You’re Da Man” blend was one of my favorites. Of course, D-Stroy’s story is classic but the placement of it made it even stronger. I was excited to hear one of my fave songs “Doo Rags” make the cut, I think that song is often overlooked simply because it is on The Lost Tapes. Last but not least, the signoff with wise words to live by from Nas himself ties it all together nicely. The fact that projects like NAStaglia continue to be inspired by Nas is a greater testament to his success and influence as an artist than any Grammy Award in my book.